People participate in sports for a number of beneficial reasons. Whether you’re young or old, are a fitness fanatic or exercise amateur, there are a variety of advantages to participating in physical activities. The obvious benefits are fitness, weight loss, and fun. In team sports, like rugby and football, participants learn to work together and rely on each other as teammates. Sports also boost self-esteem and cause people to make healthier decisions like choosing to quit smoking and drinking. At the same time, however, there are inherent risks associated with sports participation. People are often injured in contact sports and improper warm-up can also lead to accidents. Faulty or poorly maintained equipment or improperly used equipment cause accidents as well. Excessive force or overexertion can lead to sudden, or unexpected, injuries for participants. Sometimes even spectators are injured during sporting events. Sports-related injuries are often part and parcel of taking part, however, in some instances, an injury is sustained as a result of the actions of another party. It can be upsetting if you cannot partake in your favourite sport for any period of time and this feeling can be made worse if the accident was not your fault. If you have been injured while playing any kind of sport and the fault was down to a third party, you could be able to make a personal injury claim. Some sports are more dangerous than others. Motorsports, football, rugby and gymnastics are some of the main sports where injuries are more commonly sustained. If your injury could have been prevented through the provision of safer facilities, or if the organisers of a sporting event did not comply with the necessary health and safety laws, giving rise to your injury, then you could make a compensation claim. A very friendly, helpful service. I was kept up-to-date on every aspect of my claim. Schools, universities, councils, private landowners and a whole host of other bodies can organise sporting events; in each case, they have responsibilities in terms of health and safety. If the host of a sporting event has not observed the relevant health and safety regulations, and this has caused your accident, you could have a valid injury claim against them. Poor playing surface leading to slips and trips. Inadequate seating for spectators or defective chairs/tables or other equipment. Illegal tackles in sports like rugby and football. Head injuries can be caused in sports like rugby and American football. There has been lots of media coverage about this on both sides of the Atlantic, discussing the consequences, both long and short term, of head injuries and brain damage. Head injuries and brain damage can also be sustained by footballers. Sprains and torn ligaments can occur while playing many different kinds of sport. They can be caused by slipping on spillages on a surface like a badminton or tennis court. The tissues that connect bones together can become painful, swollen and/or bruised. Rest is required at first before a bandage to compress the area. Exercise and physiotherapy may also be needed afterwards to gain a full recovery. Knee injuries include damage to bones, cartilage, muscles and tendons. People with knee injuries often have great difficulty getting around and, in the worst case scenario, a knee replacement is required. Rotator cuff injuries happen in the shoulder area and can result in a significant loss of mobility which can be worsened with repetitive movements. To begin with, it is important that patients rest. Sometimes anti-inflammatory medicines and cortisone injections are required and in some cases, surgery is necessary. Dislocations are another common sporting injury and occur when bones have been pushed out of position, resulting in extreme pain. Ankles, knees and shoulders can all be dislocated and treatment is required straight away. Bones will need repositioning and normal functionality should resume after a few weeks. In more severe cases, rehabilitation is required. If you have had a sports-related injury, it is advisable to report your accident as soon as you can. If you have been playing at a sports centre or club, there will be an accident book available to write down the date and details of the incident. Taking photographs of your injury and the place or object that caused the injury can be very helpful if you are making a personal injury claim. In addition, if there are any witnesses present when you had your accident, it is recommended that you ask for their contact details so they can provide supporting evidence in the form of witness statements. Sport-related accident claims are made up of a number of different components. The pain and suffering aspect of a claim will consider the extent of your injuries along with any loss of amenity you have experienced as a result. There is also a special damages element which considers any loss of earnings you may have suffered because of the injury. For example, if you have lost your job, been unable to work for a period of time or have had to pay for medical expenses, you may be able to be reimbursed. It is always worthwhile keeping hold of any medical expense receipts that relate to your injury. Injury due to negligence is common. Violent behaviour and intentional harm are also factors. When you are injured through no fault of your own because of your participation in a sporting event, you may be entitled to personal injury compensation. You can be reimbursed for pain, distress, and uncollected wages. You may be eligible for reimbursement even if you are currently injured or have previously injured a similar part of your body. You can’t claim compensation for every sports injury. If you accidentally injure yourself, for example, you cannot receive monetary compensation. Another example where you are not eligible for financial compensation is if your injury has been caused by legal contact. Sports injuries occur just about anywhere – from school playgrounds and professional sporting events to backyards and local parks. The location of the sporting venue doesn’t necessarily prohibit you from receiving compensation. The details surrounding the accident are vital in determining both fault and the amount you’re entitled to receive. You can be injured from the friction that occurs when you come into contact with the surface of the ground, slippery surfaces near a swimming pool, or from illegal plays by a teammate or opponent. Deliberate foul play can make it easy to identify injuries you can be compensated for. Both amateur and professional events can cause compensational sports injuries. Immediately after your sporting accident, you should seek medical attention to determine the extent of the injuries and provide evidence. Injuries can be as small as bumps, bruises, small cuts, and blisters, or more severe, such as broken limbs, fractures, dislocations, and torn ligaments. Even more serious injuries include head injuries, amputations, permanent paralysis, or even death. Professional or organised events usually have medical personnel on site. For informal play, you may need to be driven to the hospital for treatment. Otherwise, you can call 999 and request an ambulance. You should always seek medical attention as you may have internal injuries which cannot be seen. Only an experienced professional is qualified to diagnose and treat those types of injuries. After seeking medical attention at the nearest accident and emergency department, you should report your accident to the authorities. The authorities could be the parents of the participants, organisers of the event, or even the insurance policyholder at the venue. Report the injury as quickly as possible and provide detailed information about how and when the accident occurred. Be sure to collect the names, addresses, and phone numbers of potential witnesses. Witnesses can range from other participants, referees, spectators, and passers-by. Paid or unpaid staff make potential witnesses as well. Essentially, anyone who saw all or part of the events leading up to and immediately after the accident can be contacted and used as a witness to back up your version of events. If you have access to a smartphone or digital camera, use it to record the accident scene as well as the injuries. This is a quick and easy way of documenting physical damages. Remember to keep track of receipts, medical expenses like hospital or doctor’s bills, or medications. You may be able to receive reimbursement for these types of expenses associated with your accident. The more details you are able to prove, the stronger your case may be. Depending on the injury, treatment could include over-the-counter medication for pain relief. More serious injuries may require stronger, prescription, medication, and treatment by advanced specialists. While all physical activities have the risk of injury, sports activities come with higher risks. This doesn’t mean that you should shy away from them, it simply means that you should be mindful of the risks involved while you participate in the activities. Playing safely, using equipment wisely, and exercising care all contribute towards fun and physical sporting events, while overexertion, violence, and not paying attention can lead to an increased risk of injury. First Personal Injury Lawyers regularly help clients with many different types of sports-related accident claims. 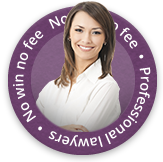 If you would like to know more about how we can help you and your claim, please get in touch with our no win, no fee solicitors today on 0800 808 9740 or complete our online claim form.